Redthorn (Australia) showcased Aventa, a new ERP/MRP software, at the AUSTECH 2009 exhibition in Melbourne. Aventa ERP/MRP software can help the manufacturing industry to increase margins/profits and save time. Redthorn customers who supply to industries which include aerospace, automotive, mining and general engineering depend on Aventa ERP/MRP software for managing the internal business process and the logistics of the supply chain. Aventa ERP/MRP software is an SME, designed around Oracle, which can offer speed, security and a user-friendly environment. The Resource Scheduler in Aventa ERP/MRP software calculates start and end dates for each live job and operation around the capacity constraints of each machine centre. The results which are viewed on an interactive Gantt chart allows users to change factors such as priorities, promise dates and machine centre to instantly see the effects on the job schedule. 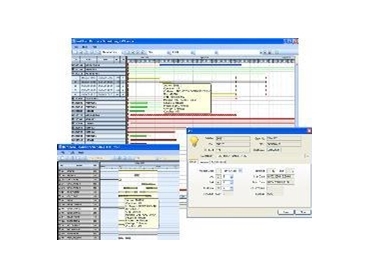 Various filters and switches on the Gantt chart allow users to control over what jobs they are viewing. Aventa ERP/MRP software can provide customers with instant estimates and quotations, easy sales order processing/scheduling, real-time shop floor data capture, total control of the manufacturing process, improved company presentation with tailored documentation and can help in achieving deliveries on time.